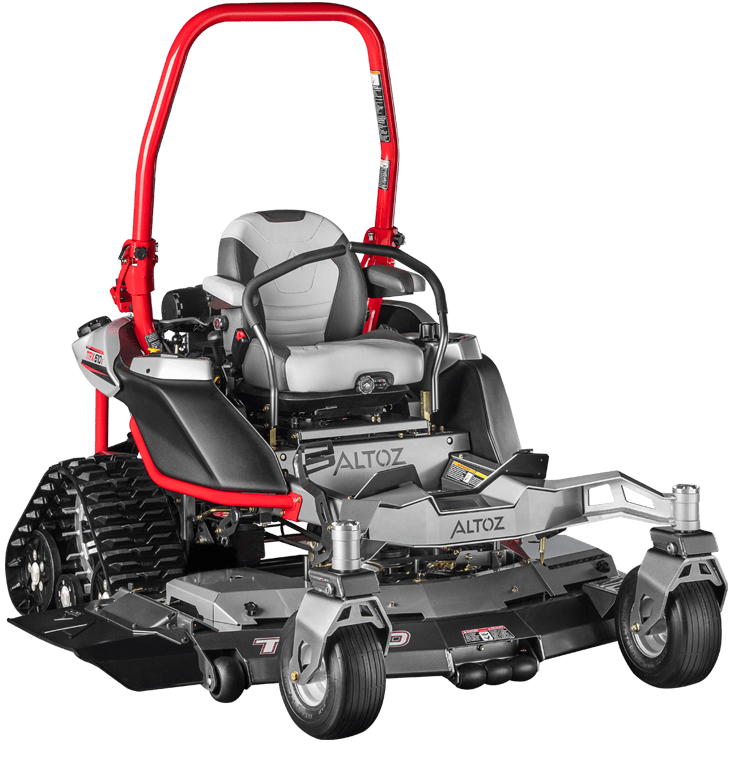 2017 Altoz TRX660I for sale in Athens, AL. Haney Equipment Company Inc. 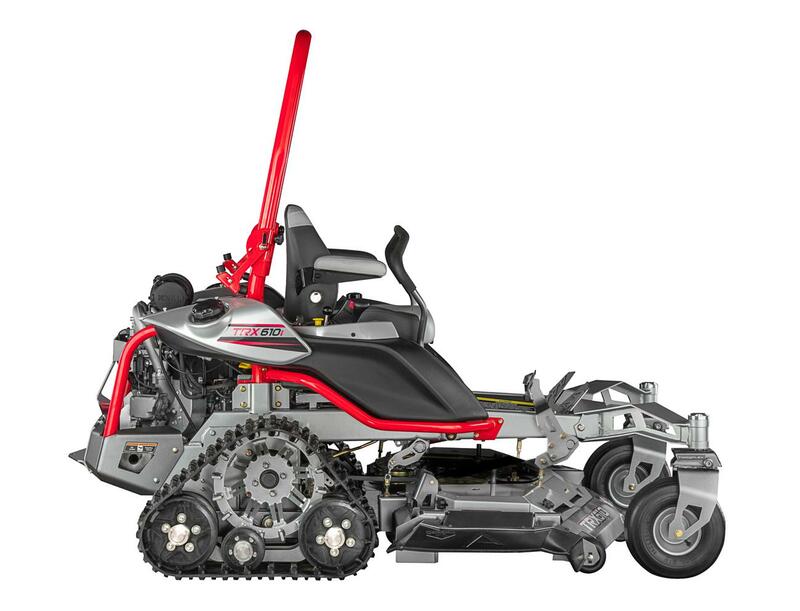 The TRX track system and rear torsional suspension work together to deliver maximum traction for stability, low ground pressure for minimal compaction and an industry-best ride. C-Channel frame rails with formed, laser-cut and welded heavy gauge steel for maximum strength and rigidity. TorqFlex suspension delivers the ultimate smooth ride, isolating the driver from ground chatter. Fork castors with heavy-duty 1-1/4 inch tapered roller bearings. Engineered to deliver maximum performance and durability in demanding conditions. Aero Deck - Signature Deep-Deck design with baffles that create an optimal vacuum for maximum grass lift and an exceptional cut. The 6-point Vibration Isolation System isolates the seat and foot wells to protect the rider from ground vibration. Heavy-duty, commercial Hydro-Gear® ZT-5400 dual range, cool-running transmissions. The 4-point Engine Isolation System (EIS) is designed to absorb engine vibrations to maximize driver comfort and endurance. Ultimate driver comfort is possible thanks to multiple seat adjustment options including fore and aft, armrest, tilt, lumbar support and rider weight. 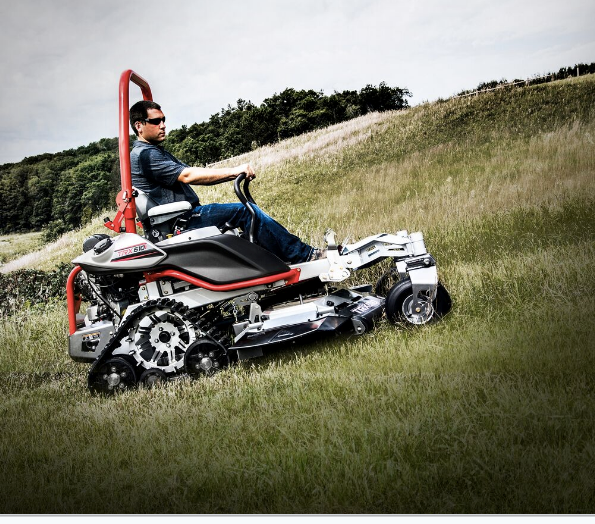 Dual Range Transmission helps you manage various types of terrain and cutting conditions and takes you to a top speed of 10 mph.